Le Carla, a medieval fortified village near Foix in the Ariège, was the birthplace of Pierre Bayle, and the fitting location of a two-day meeting – open to all – on the subject of Huguenot travels and correspondence (November 9th-10th). Bayle kept fond memories of his home town throughout his life and regretted not having taken more interest in the local agricultural and apicultural preoccupations. Out of nostalgia, he even devotes a few articles in his Dictionnaire historique et critique to local towns or local phenomena. Despite his long period of exile in Rotterdam (1681-1706), he never really settled down in the city: he never learnt to speak Dutch and never got used to the bitterly cold winters, nor to the custom of beer-drinking. After all, he was used to the warm climate of the French south and to drinking wine with his meals. The thick tobacco smoke that engulfed Dutch taverns also made everyday life difficult for him, bringing on migraines so debilitating that they forced him to abandon his journalistic activities in 1687. His reluctance to accept integration into Dutch society was also fuelled by his hope that political negotiations might make it possible for the exiled Huguenots to return to France, in all freedom of conscience. For an unparallelled insight into Bayle’s time in Rotterdam (and much more), delve into the Correspondance de Pierre Bayle (15 vols) – the first complete edition of his letters. Antony McKenna presents the critical edition of the Correspondance de Pierre Bayle in November 2017 at the Maison Pierre Bayle. 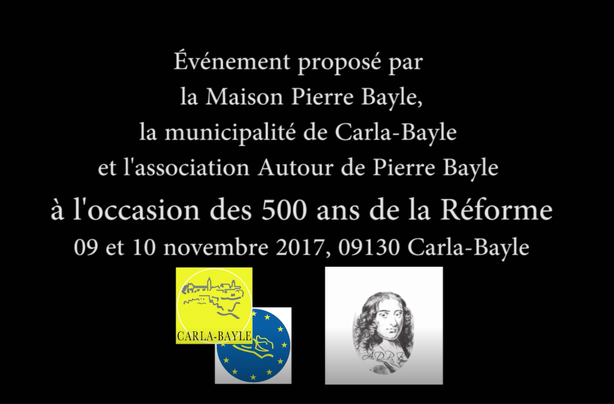 A great number of local people from many different professional backgrounds attended the meeting, located very appropriately at the Maison Pierre Bayle – appropriate as the Maison was established on the site of the original Bayle family home. Surrounded by Bayle’s own works and a large library of critical works dedicated to his life and writings (and even a life-size puppet representing the philosopher with quill in hand), the sessions were both intense and stimulating: a rare opportunity to take Bayle outside the circle of university specialists. Following the initiative of the mayor, Jean-Luc Couret, back in the 1990s, the village of Le Carla (now officially renamed Le Carla-Bayle) has been beautifully restored and is now considered to be one of the most important cultural centres of the region. It hosts many lectures open to the general public and a myriad of activities surrounding these lectures. A number of painters, sculptors and potters have also established their studios in the village and a vibrant arts festival takes place each spring. The original Protestant church (or temple in French) is still in place and in use, just as it was when Bayle’s father and elder brother served as its ministers. a discussion of the critical edition of Elie Richard’s Relations des voyages faits en France, en Flandres, en Hollande et en Allemagne, 1708 (Paris, Honoré Champion, 2017), chaired by Kees Meerhoff. a ‘Café littéraire’ organised par l’Estive on La passion des Anabaptistes, by Ambre and David Vandermeulen. 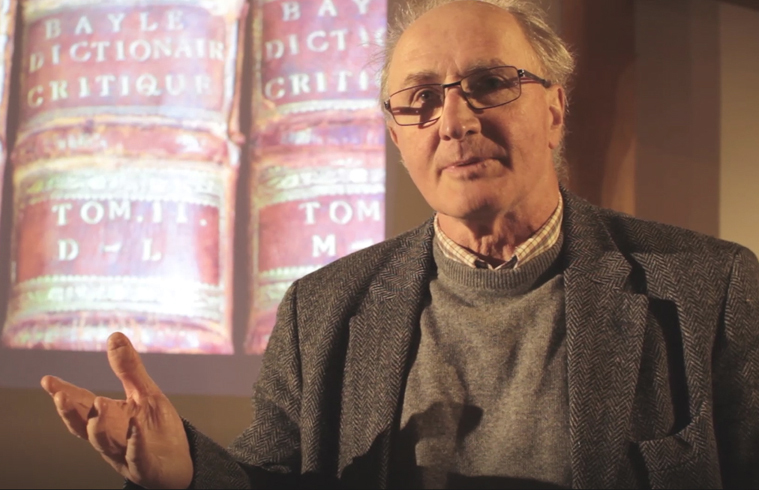 a discussion by Yves Moreau of the critical edition of the correspondence of Jacob Spon (1647–1685), which was the subject of his thesis at the University of Lyon 2, 2013. Antony McKenna presented the critical edition of the Correspondance de Pierre Bayle (Oxford, Voltaire Foundation, 1999-2017, 15 vols), which was completed in June of this year. a traditional vin d’honneur was offered by the mayor in the Maison Pierre Bayle. Enfant du Carla (aujourd’hui Carla-Bayle) dans le Midi-Pyrénées, fils et frère de pasteurs réformés, exilé peu avant la révocation de l’édit de Nantes, Pierre Bayle passa une grande partie de sa vie à Rotterdam, d’où il communiquait avec les philosophes et savants de toute l’Europe. Créateur d’un des premiers périodiques de critique littéraire, historique, philosophique et théologique, les Nouvelles de la république des lettres, il a défini une nouvelle conception de la liberté de conscience fondée sur le rationalisme moral. Dans son œuvre majeure, le Dictionnaire historique et critique, il recueille mille détails sur les événements historiques et cherche à démontrer, dans les articles philosophiques, que la religion chrétienne est incompatible avec une argumentation rationnelle. Dans ses toutes dernières œuvres, la Continuation des pensées diverses et la Réponse aux questions d’un Provincial, il diffuse une version du spinozisme qui marquera tous les philosophes des Lumières. Bayle se représentait comme un simple citoyen de la République des Lettres et en est arrivé à incarner cet ‘Etat extrêmement libre’ où l’on ne reconnaît ‘que l’empire de la vérité et de la raison’. Il mourut, à l’âge de 59 ans, le 28 décembre 1706 vers 9 heures du matin, quasiment la plume à la main. 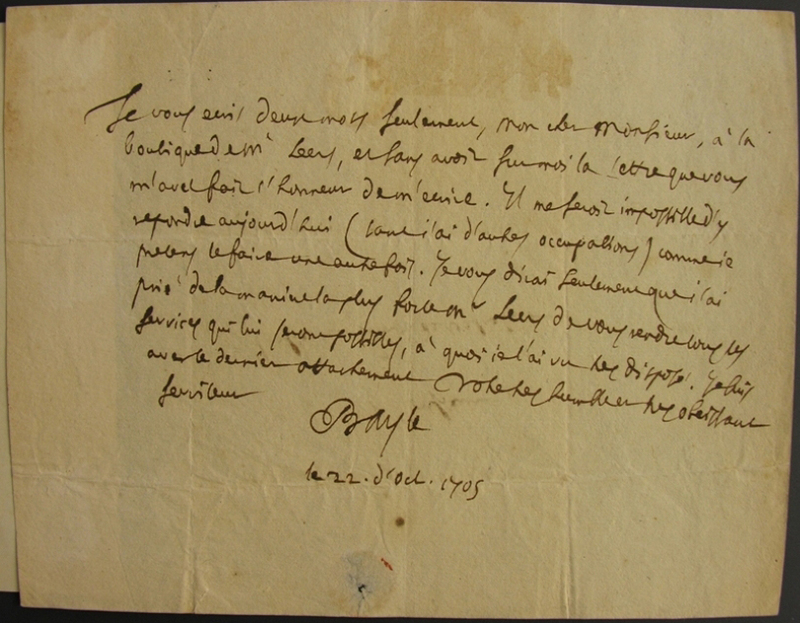 Lettre de Pierre Bayle à Hervé-Simon de Valhébert, écrite à Rotterdam le 22 octobre 1705. ‘Comme il s’était accoutumé à combattre les erreurs du vulgaire, il avait porté plus loin ce même esprit et un des plaisirs les plus doux qu’il goûtait était de faire sentir à une infinité de gens que les opinions qu’ils regardaient comme évidentes ne laissaient pas d’être environnées de difficultés insurmontables’ (Jacques Basnage au duc de Noailles, le 3 janvier 1707: Lettre 1743, Volume XIV). Notre édition critique de sa vaste correspondance, qui comporte quinze volumes et près de de 1800 lettres échangées avec un très large cercle d’interlocuteurs, est désormais achevée. 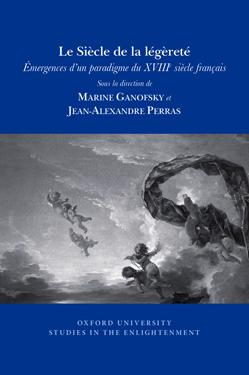 Le Volume XIV paraîtra en février 2017 et le Volume XV, comportant la bibliographie générale et l’index général des noms de personnes, paraîtra en été 2017. Pierre Bayle is dead. Long live the Republic of Letters! Born in Le Carla, a tiny village near Foix in the South of France, Pierre Bayle came from a family of Protestant ministers, and was exiled shortly before the Revocation of the Edict of Nantes. Consequently, he spent most of his life in Rotterdam, from where he corresponded with philosophers and scholars throughout Europe. He launched one of the first literary and philosophical periodicals, the Nouvelles de la république des lettres and defined a new conception of religious tolerance based on moral rationalism. His most famous work, the monumental Dictionnaire historique et critique, contains detailed historical articles and others concerning philosophers, in which he sought to demonstrate that Christian doctrine is incompatible with rational argument. In his last works, the Continuation des pensées diverses and the Réponse aux questions d’un Provincial, he defined a version of Spinozism which greatly influenced Enlightenment philosophers. In his unassuming way, Bayle thought of himself as a simple citizen of the Republic of Letters and came to incarnate that ‘extremely free State’ in which no other law is recognised but ‘the rule of truth and right reason’. Bayle died at the age of 59 on the 28th December 1706 at about 9 a.m., virtually pen in hand. The critical edition of his extensive correspondence, containing fifteen volumes and nearly 1800 letters exchanged with his vast network of friends and associates, is now complete. Volume XIV has just published (February 2017), and volume XV, containing the general index and bibliography, will publish in the summer of 2017. 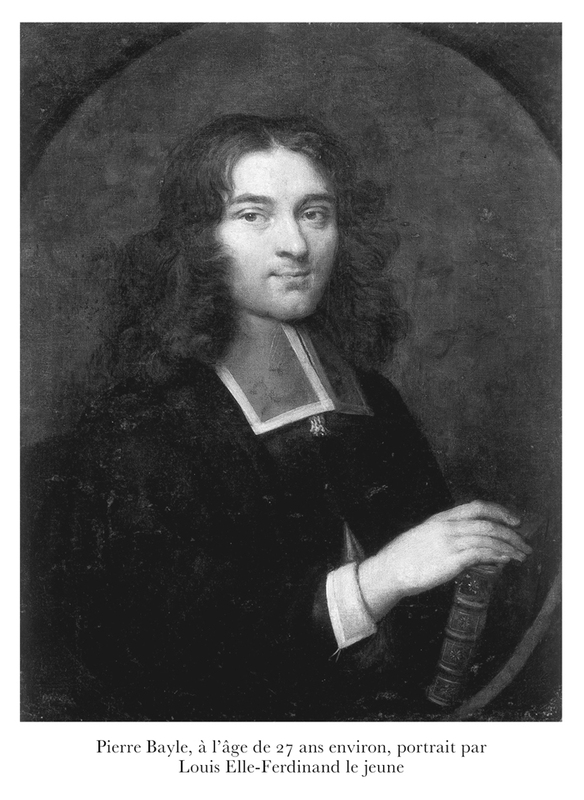 Pierre Bayle at approximately 27 years of age. Portrait by Louis Elle-Ferdinand le jeune. Hyperconnected, multidisciplinary, transnational – the buzzwords of twenty-first century digital communication could just as easily apply to the pan-European Republic of Letters in the late seventeenth and eighteenth centuries. An empire of paper rather than Facebook posts or tweets, the Republic of Letters transcended national boundaries as writers and thinkers criticized, complemented, and commented on the controversies of the moment in a dense nexus of correspondence. These erudite intellectual exchanges between friends and foes fostered the heated debates which shaped modern thought. The Republic’s major architect was the prolific Pierre Bayle (1647-1706) – best-selling author, journalist, and audacious thinker. 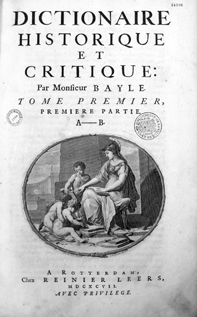 As editor of the journal Nouvelles de la République des Lettres, which published its first issue in 1684, Bayle was arguably the first to coin the term ‘Republic of Letters’. The very title of the journal testifies to Bayle’s ambition. Bringing together articles and reviews of new publications from contributors across Europe, and with a Europe-wide distribution, Pierre Bayle was a man in dialogue with his peers and his times, constantly challenging the consensus and engaging with the opinions of others in his own analysis of the quest for philosophical and historical certainty. 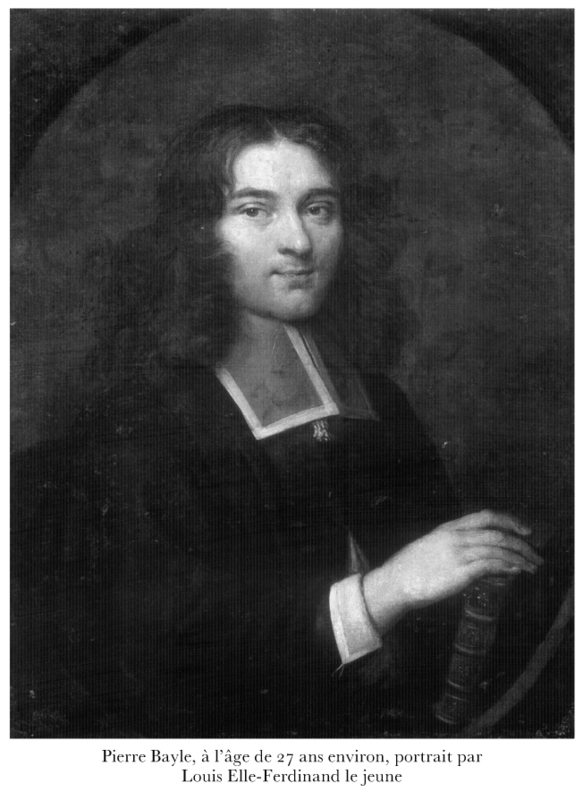 Marked by his early experiences of religious intolerance (a recurrent theme in his work) as a Protestant living in predominantly Catholic seventeenth century France, Bayle settled in tolerant Rotterdam where he dedicated himself to a life of creative ferment and intellectual rigour. 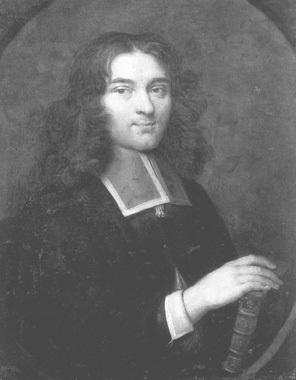 Dissatisfied with the conclusions of Descartes in his Discours de la méthode (1637), and closer to Gassendi in his critique of Descartes’ Méditations métaphysiques (1641), Bayle proposed a radical scepticism towards the ability of human reason to reach true knowledge about the universe, and firmly pinpointed the antagonism of reason and religious faith and the dangers of religious fanaticism. He is perhaps best-known for his monumental Dictionnaire historique et critique (1697) – a hybrid and polymathic bestseller. With articles on every conceivable topic, it appears as a forerunner of Diderot and d’Alembert’s Encyclopédie and Voltaire’s Dictionnaire philosophique, and had a considerable influence outside France, reaching Leibniz, Hume and Kant. As seen in the recently published volume XII of the Correspondance de Pierre Bayle, edited by Antony McKenna et al, the complexity, ambiguity, and plurality of Bayle’s work still make him a fascinating subject of study today. Volume XII of the Correspondance de Pierre Bayle dates from the period January 1699-December 1702: a time of effervescence for Bayle, who was preparing the second edition of his extremely successful Dictionnaire at a feverish pace, while fielding commentaries and criticisms from readers of the first edition. His circle of correspondents was expanding apace. At a time when numerous projects – Early Modern Letters Online, Mapping the Republic of Letters, and Electronic Enlightenment – are using modern technology and graphics to find new ways of recreating the Republic of Letters, this volume of correspondence has a vital place in our understanding of the period. Pierre Bayle is a model for our age of networking. From the dense web of articles in his Dictionnaire to his border-transcending Nouvelles and correspondence, his networks illuminate the intellectual exchanges firing the bold new thought which sparked the Enlightenment. Perhaps, as indicated in the very first Voltaire Foundation blogpost, The Online Republic of Letters, Bayle’s legacy lives on in this blog! 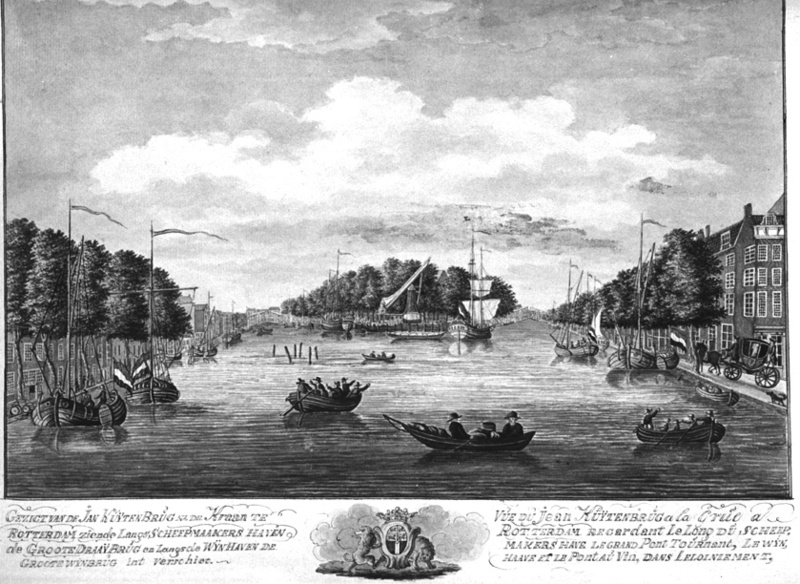 Rotterdam, where Bayle spent the last 25 years of his life. Click here for a list of books and articles published by the Voltaire Foundation on Pierre Bayle or his work.